Find the perfect gift for the Father’s Day with Winesdirect.com! 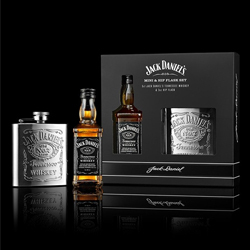 We have carefully selected the nicest Wine, Whisky and Beer gifts from our partners to help you choose the best present for Dad. Find your inspiration among our top picks and offers to celebrate this special day. A selection of top quality, bestselling Beers, Ales and Ciders: such as Guinness, Stella Artois, Tsingtao, Crabbies, Peroni Nastro Azzurro, Kopparberg, San Miguel, St Austell and many more. 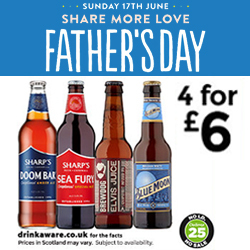 If your Dad loves beer, he will be delighted. This award-winning single malt from a renowned Highland distillery. Distinct notes of mandarin, lemon and peach are softened by vanilla, and enriched with herbal and floral aromas. 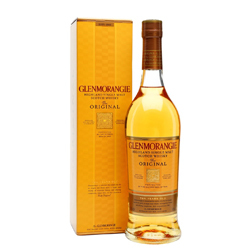 Creamy, silken texture brings forth tastes of vanilla, balanced with coconut, almonds and honey. Then - a gentle, lingering finish. Uniquely smooth and complex - your Dad deserves it! 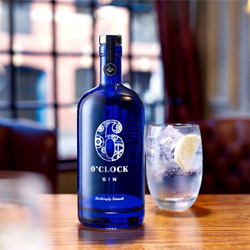 A traditional gin with hints of juniper and orange peel. Made by Bramley and Gage Ltd in Gloucestershire, this is a delightful small-batch gin that’s full of floral and citrus flavours. Simply perfect to treat your Dad on his special day! 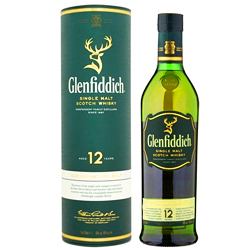 The fresh and fragrant Glenfiddich, rich in fruit, subtle pine & a little bit of smoke. The touch of pear in the nose is followed by a distinctive, well-balanced fruity-woody flavour and a hint of peatiness. A steal at this price, it will surely make your Dad very happy! An epitome of Malbec goodness! 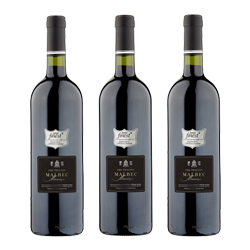 Dark violet in colour, this silver medal winner from Mendoza, Argentina, is full of ripe plum and chocolate flavours with a very soft, supple mouthfeel. A long vanilla and black pepper finish makes it a perfect BBQ wine, traditionally enjoyed over a beef steak. Well, that's something most Dads will surely appreciate! 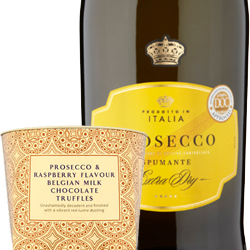 A delicious sparkler with zesty lemon, pear and apple fruit flavours, balanced by a refreshing, crisp acidity, combined with a box of Prosecco and raspberry flavour truffles, covered in Belgian milk chocolate and a red lustre dusting... A perfect match for a Dad with a sweet tooth! A mini bottle of the most famous American Whiskey, mellowed drop by drop through sugar maple charcoal and matured for character in handcrafted barrels... Accompanied by an elegant silver hip flask. Just perfect for the occasion! *This article is showing the prices and stock available on 13/06/2018.